When it comes to communication, public safety providers such as EMS, firefighters, and police, walk a fine line. On the one hand, the people are entitled to transparency in public safety activities. On the other hand, the sensitive information conveyed could fall into the hands of potential criminals, and its misuse could pose a threat to citizens and public safety personnel alike. Security and encryption of most public safety communications, sensitive data transitions and two way radio systems and 911 dispatch, are of a very high priority. However, one area of public safety communication that is lagging dangerously far behind in this regard is the two-way land mobile radio. Secure mobile communications are desperately needed to bring LMR systems up to the same standard as voice over IP communications. 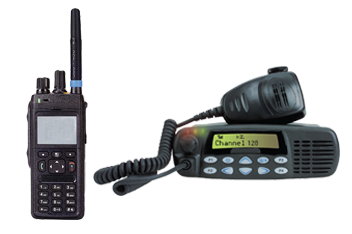 Public safety providers use LMR because it is an efficient way to communicate with many different parties at once with the push of a button, without requiring users to look away from the current situation to glance down at the device in their hands, which are drawbacks of smartphone devices sometimes used in lieu of two-way radios. Many mobile data terminals and smartphones provide the encrypted data capabilities where most advanced LMR systems lack the red black separation used in encrypting communications. The solution is to design and implement a system that incorporates the convenience and reliability of push-to-talk LMR and the capacity for cybersecurity of an internet-enabled device to ensure secure mobile communications within the realm of public safety. Internet communications are not automatically encrypted, however. Security programming and encryption rules be written, then installed, according to architecture that facilitates encryption. The most basic type of security architecture is a system of red black control. This type of secure RoIP encryption consists of two separate partitions, a red partition containing information that is unencrypted but confidential and a black partition containing encrypted data, with an interface between the two to convert the data back and forth for secure mobile communications. The federal government has recognized the need for a nationwide, interoperable public safety communication network and has been in the process of implementing FirstNet, based on encrypted Long Term Evolution Technology, since at least 2016. It is not known when FirstNet will be fully deployed.